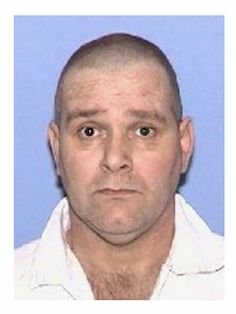 Keith Steven Thurmond was executed on March 7, 2012, by the state of Texas. Keith was pronounced dead at 6:22 CST, inside the Walls Unit execution chamber of the Huntsville State Penitentiary in Huntsville, Texas. Keith was 52 years of age. He was executed for the murder of his wife, 32-year-old Sharon Anne Thurmond, from whom he was separated, and Sharon’s boyfriend, 36-year-old Guy Sean Fernandez, on September 25, 2001, in Magnolia, Texas. Keith spent the last 10 years of his life on Texas’ death row. Keith alleged that he was abused a child. He had no previous criminal history, although former girlfriends testified at trial that he became abusive and controlling a few months into their relationship. On the day of the murder, Keith had been informed that he lost custody of his son to Sharon, who was living across the street with Guy. Prior to his arrest, Keith was a master mechanic, air conditioning technician, and laborer. Please pray for peace and healing for the families of Sharon Thurmond and Guy Fernandez. Please pray for the family of Keith Thurmond.